“To have seen Italy without seeing Sicily is to not have seen Italy at all, for Sicily is the clue to everything.” These words from the poet Johann Wolfgang Goethe (who traveled to Sicily 1786-1788) have been the playing in the back of head since returning from my Sicilian sojourn. Their significance grows with each passing day. Every visit and experience during our two-week trip has confirmed to me that Sicily is – in so many ways – the heart of the Mediterranean, the point from which all things disperse, but also come together. There are important, historical reasons for this, of course. Most significantly perhaps is its geographic location; a virtual stepping stone for past civilizations – the Phoenicians, Greeks, Romans, Normans, Arabs, to name a few – crossing from North Africa to Europe and back on their journeys of conquest. The fact that Sicily is a fertile land – its soil rich in minerals from Mt. Etna’s consistent activity – made it all the more desirable a place for people to settle. Indeed Sicily was the granary for the Roman Empire, at a time when it was called Trinacria. 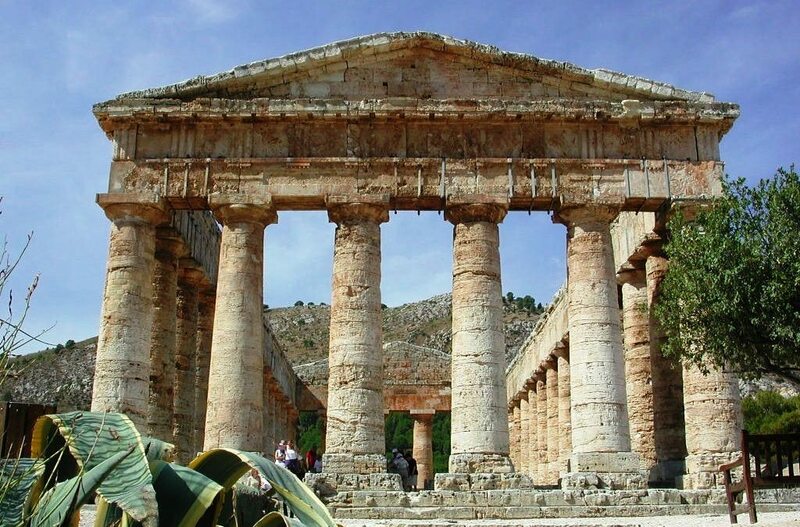 But it is the Greeks’ stamp on the island, in the way of extraordinarily huge temples, that for me showcases the incredible works of man that have withstood the test of time. Having lived on mainland Italy many years ago and experienced the wonders of Milan, Florence, Rome and Naples (to name a few), Sicily has long topped my list of places to visit. My impressions of the island are as varied and diverse as the land itself: it is a crossroads of culture and history, a mosaic of tradition and tastes, a confluence of all things remarkable. I’m happy to report that, for me, Sicily has it all! Travel on Sicily: Art and Archaeology with Professor Emma Blake, September 5 – 19, 2017.